We have many satisfied customers. 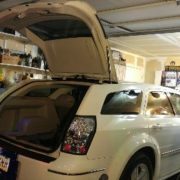 See what some of our customers have to say about having their gas struts repaired, replaced or serviced by StrutWise Technical Services. 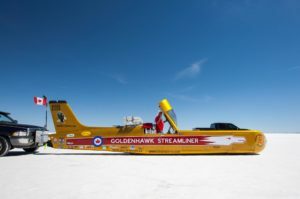 StrutWise provided gas lift struts for the GoldenHawk Streamliner, which is going to attempt to beat the Diesel Land Speed record! Thanks for the service on the struts! Installed them today and can now throw out the broom stick support I’ve been living with for the past 10 yrs. Such a great improvement.!!! Wish Id have known about your skills years ago. Hi Frank. I received the struts today. Christmas came early. The upgraded ball studs and larger ends are great. My rear hatch lifts really high now, I love it. 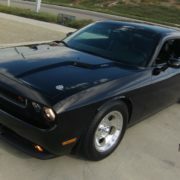 I have posted pics on Dodge Magnums World Wide on Facebook. I received my struts and they are awesome! Installed like a dream and the connectors are the perfect size. The strength is impressive, yet closing the trunk is no problem (I can’t just use gravity anymore!). This is going to be much safer for me and the units look great to boot! Thank you for all your help and have a great day! My 2 cents regarding my recent experience with StrutWise. I noticed that my trunk struts weren’t working when the boot lid knocked me on the top of my friggin’ head. Ouch. Sent them over to Frank, played some phone tag with him, they were done the next day when he recieved them, got them back and they work, just as expected and needed. Experience was great so I’m sending him my hatch struts too. Thanks Frank! 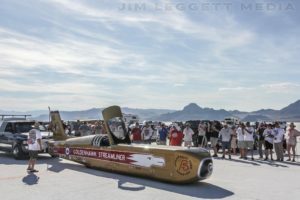 Wanted to let you know the struts worked well on the airplane. I’ll continue spreading the word about your service. Keep up the great work!! I just wanted to say thank you so much for helping my dad out. 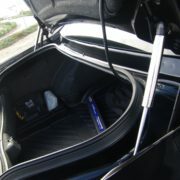 My dad gave me two struts to drop off and on the way there, they fell out of my motorcycle bag! I backtracked for three hours and did eventually find them, but they didn’t look good. I was upset and didn’t know what to do as these were off of a very special car. My dad came by next week and you gave him two brand new ones! I couldn’t believe it! That meant so much to us! Your customer service is fantastic and just another reason to avoid those big stores and give business to the ‘little guys’. Thank you so much! 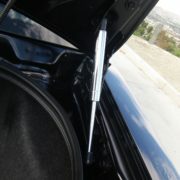 Struts arrived yesterday, got them installed in five minutes, They´re perfect! I promised a picture of the NSX, but It´ll be after we get back from vacation in a couple weeks, but I will send it. I recieved the struts today and they work wonderfully. Your service and response to me was outstanding. I will refer anyone that needs your service and wish you the best. I got a chance to put the struts on my truck yesterday and I’ve got to say, they operate brilliantly! They make the cheap aftermarket parts that were on there before look like absolute junk! Excellent job, thanks again for your servicing the struts and getting them back to better than new function! I wanted to thank you again for sending out that replacement strut socket end. I finally got a bit of free time to fiddle with the car and I finally have everything on and the struts look and function fantastically. Thank you so much for providing these! I get a lot of compliments on them and I always tell people exactly where I got them. Cheers! I just wanted to say thank you for your service. 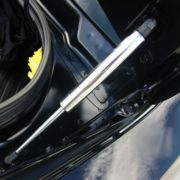 I have recieved and reinstalled by Toyota 4 Runner lift gate struts, and they are working great. Thanks again for your service. Trunk struts came in and are on. Great to have the trunk operating correctly again! Thanks. Got the struts, absolutely perfect! As good as I remember them to be when I bought the car, thank you again. 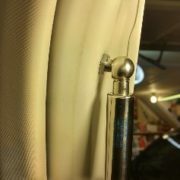 The two struts arrived today and I installed them on the awning, and they worked beautifully!!! Thanks so much for the great customer service and quality product.